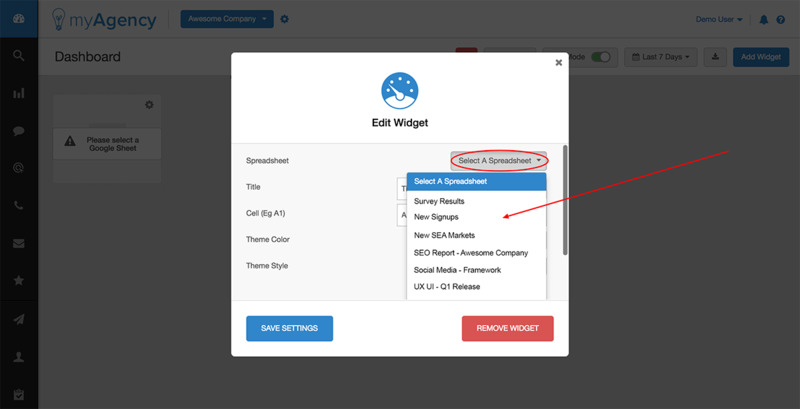 Ensure that your dashboard is in "Edit" mode, then click the "gear" icon on the widget that you just added. First, select the Google Sheet from your Google Drive account that you'd like to use with the widget. 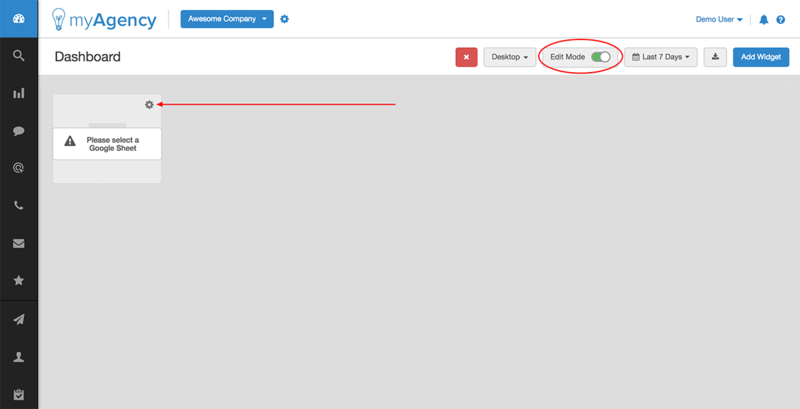 Then, select the cell from that sheet for which you'd like to pull in data. 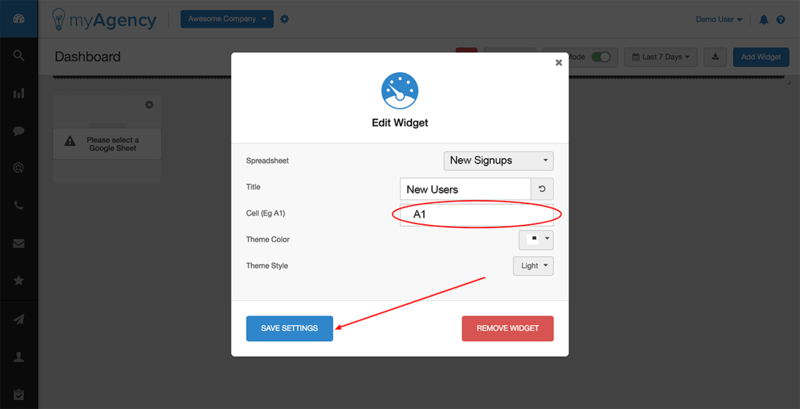 Finally, configure any additional options, such as widget title, color, and theme. Then, click "Save Settings".